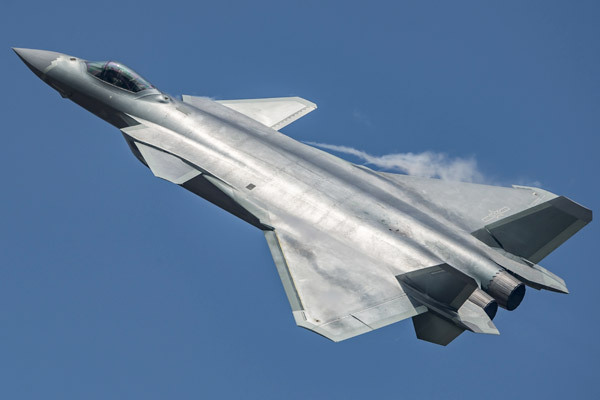 China’s stealth fifth-generation fighters J-20 are ready for combat at any time, said Yang Wei, academician of Chinese Academy of Sciences and chief designer of the aircraft. The fifth-generation fighter jet was officially commissioned into China’s air force last September, significantly improving the country’s air combat capability. According to Yang, the fighter jet has been well accepted by the pilots, and they all expressed their liking for the aircraft. After coming into service, the J-20 has shown its high performance in stability, stealth capability and fire control. Yang noted that the aircraft will be serialized in the future, which conforms to scientific laws and meets the demand of the country. He said that J-20 is a flagship aircraft of China’s air force, and is on par with the fifth-generation fighter jets from both the US and Russia. He hopes that the fighter jet can fulfill its mission when the country needs it. Yang also disclosed that the next-generation fighter jet will be highly mechanized, informationized and intelligentized. After developing a series of major weapons such as J-20, large military transport aircraft Y-20, as well as fighter aircraft J-15 and J-16, China has established a research and development system for digital aircraft, Yang said. Now China is in exploration of new technical paths, hoping to establish its own standards, he added.